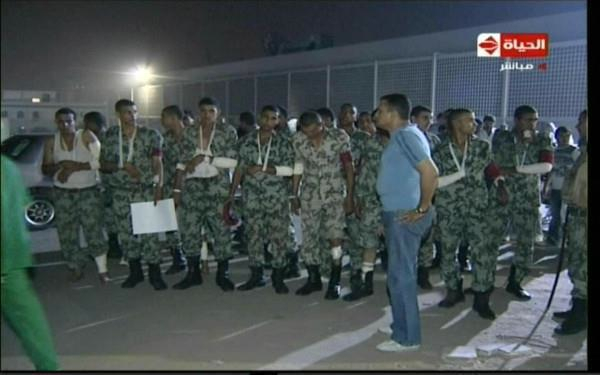 By way of Amr Bassiouny: the military regime in Egypt has trotted out a bunch of soldiers to show how they were injured by unarmed, furiously rampaging civilians Sunday. Unfortunately, they all seem to have almost the same injury in the same place, the same arm in the same sling. Obviously those Copts have great aim! This entry was posted in Human Rights, Politics, Religion and tagged Cairo, Christian, Copts, Egypt, Maspero, SCAF, sectarian violence by scottlong1980. Bookmark the permalink.